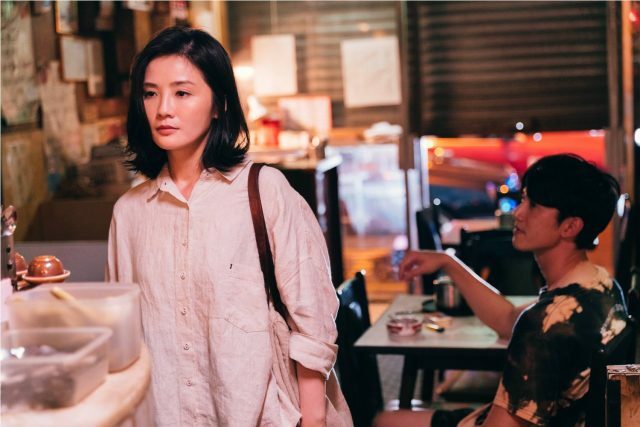 The Low-Down: Three-time Hong Kong Film Awards Best Actress nominee and the one-half of the Canto-pop group Twins, Charlene Choi stars as a lady struggling with physical intimacy in indie director Jessey Tsang Tsui Shan’s commercial debut. The Lady Improper is mostly on point for the intimate parts and overall message but the narrative and execution are lacking in terms of coherence and flair. The Story: Inspired by a true story of unknown origins, Choi plays Siu Man, the daughter of a strict father and restaurant owner Ping (Lau Wing). When Siu Man’s sexless marriage of four years falls apart and her father is hospitalised, she returns to Wing Kee, her father’s decades-old restaurant. There, she meets French-trained genius chef Jiahao (Wu Kang Jen) and starts to discover the repressed sides of herself — she hooks up with strangers on a Tinder-like app, picks up pole dancing, and explores her sexual desires. It’s a story of finding one’s true self in an Asian society where traditional family ideals are enforced so much, its inhabitants repressed their dreams and even sexual desires. The Good: The intimate scenes between Wu and Choi balance very well between showing just enough and focusing on Siu Man’s growth as a person, coming to terms with her desires and inner-self. Whenever The Lady Improper focuses on Siu Man’s inner thoughts and struggles, it’s mostly done elegantly, making the provocative scene more a means of conveying the necessary than an ends to eroticism. Also, the chemistry between Wu and Choi (which is practically the main highlight) helps in hammering home one key reminder — don’t always use your brain to think; open your heart and feel. The Not-So-Good: Narrative wise, The Lady Improper is lacking and suffers a little as a result. Certain plot points that seemed important to Choi’s Siu Man’s past and present such as her OCD tendencies, nursing job at a hospital, and soured relationship with her father, are not explained despite the movie’s implication that those are what caused her repressed sexuality. Also, Siu Man’s unexplained interest in pole dancing other than her desire to be different or “improper” and the convenience of running into an old friend who happens to have a pole dancing studio is an obvious plot device. Knock-Out Performance: For fans and viewers who watched Choi in Sara (雏妓), this is yet another movie where you get to see the pop singer’s acting range. The innocent side of her is unsurprisingly natural, but the more mature sides — her pulling off a pole dancing scene and nailing the intimate scenes — will be a pleasant shock for those more familiar with her pure image. Recommended? Yes, if you’re interested to see Choi and her rather impressive performance. Not so much if you’re looking for a decent romance story. ‘The Lady Improper (非分熟女)’ still holds up as a social commentary and an addition to the rising number of female-directed mainstream movies. Recommended? Yes, if you’re interested to see Choi and her rather impressive performance. Not so much if you’re looking for a decent romance story. The Lady Improper still holds up as a social commentary and an addition to the rising number of female-directed mainstream movies.